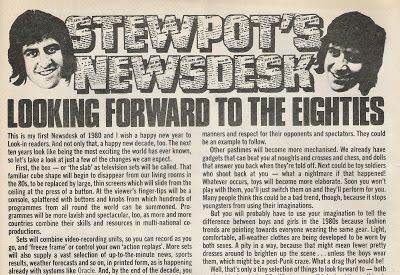 Well, before he went to the UK and became Ed “Stewpot” Stewart, “Stewpot” was a DJ in Hong Kong. In fact, he wasn’t even called Ed Stewart. He was Eddie Mainwaring, an average sounding bloke- ex-Army, I think- who worked for Commercial Radio alongside other local DJs at the time like Tony Myatt and Darry Patton. Now, Eddie Mainwaring/Ed Stewart was somewhat before my time, but, perhaps his name jogs the memories of some of you out there. What does the below mean? Who knows? Irony? Weird timing? Nada as he reamained married to his wife for thirty years before it collapsed in a very sad heap. 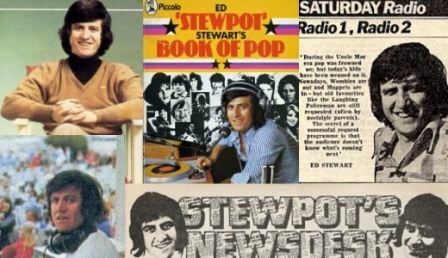 In 1974 former Radio 1 DJ, Ed “Stewpot” Stewart, got married to his lovely 17 year-old bride. It was a remarkable love story. 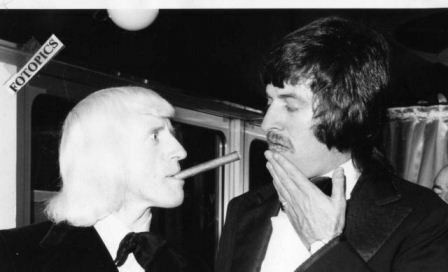 According to his autobiography, they’d had their first date four years previously. When she was 13. And he was nearly 30. And how did the Sun respond to this? They made him “Children’s Broadcaster Of The Year”. So very sad at Ed’s death. Far too soon. So very sad at Ed’s death.Lovely man ,will be sadly missed. Seems very suspicious to me , starting a relationship with a 13 year old girl when your 34 years old, then marrying her as soon as she could!!! GOING UP THE COUNTRY OR LED UP THE GARDEN PATH?